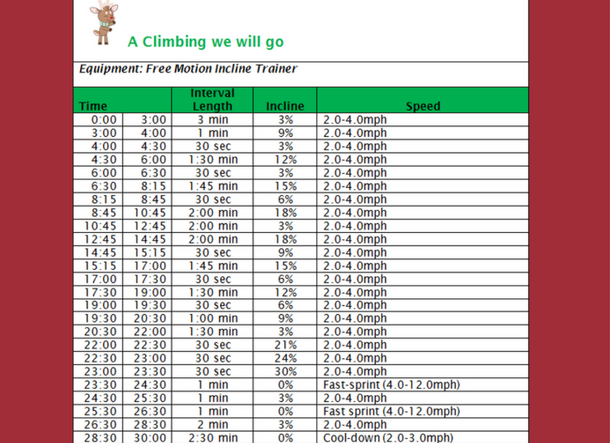 In anticipation for our 12 Days of Fitness program, we are featuring an Incline Training workout from last year's program. Get ready to climb and work those muscles in challenging intervals that will burn calories and keep your workout interesting. Print off the pdf here. And remember to refrain from holding onto the handles! Happy climbing!